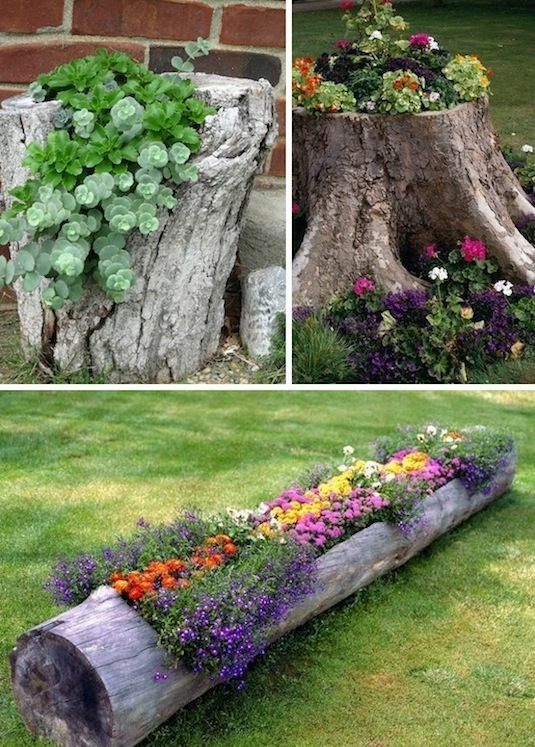 I suppose I’ve never been very creative in the garden; whenever I want to plant something, I always go for a boring old pot! 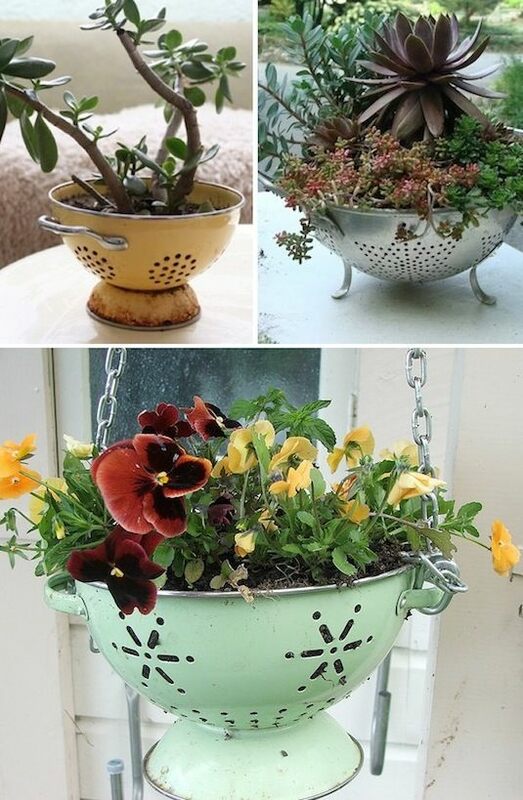 But really, you can make a planter out of just about anything. 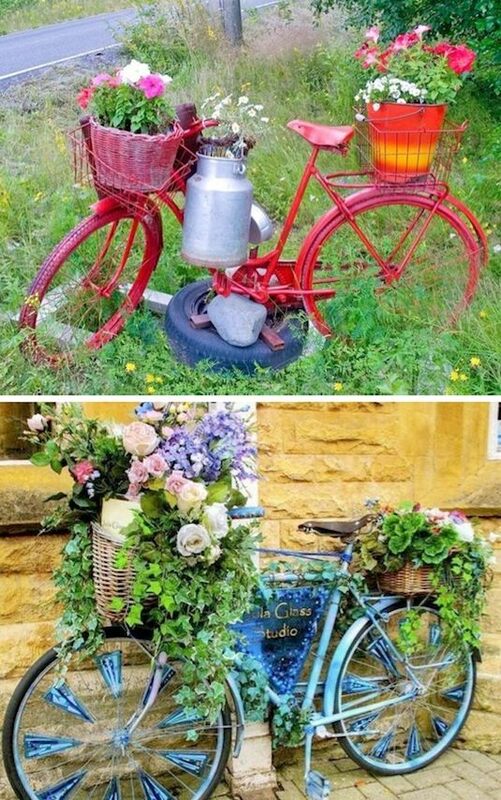 Why not add a little bit of whimsy and charm to your garden with items you already have around the house? 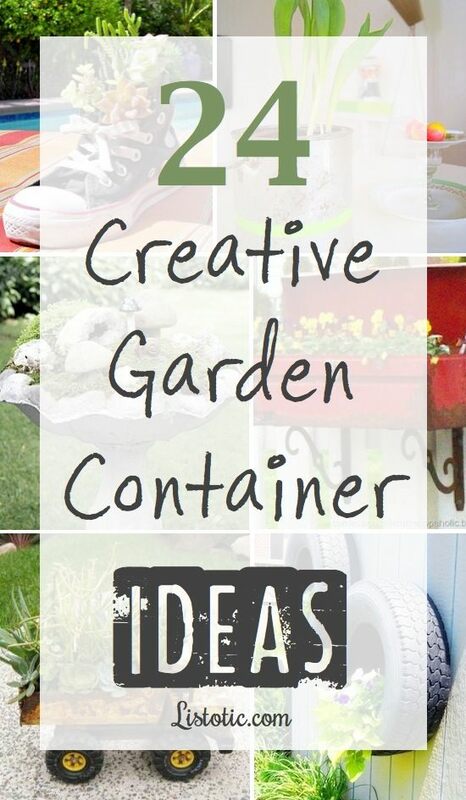 Here are a few of my favorite clever garden container ideas. Get inspired! 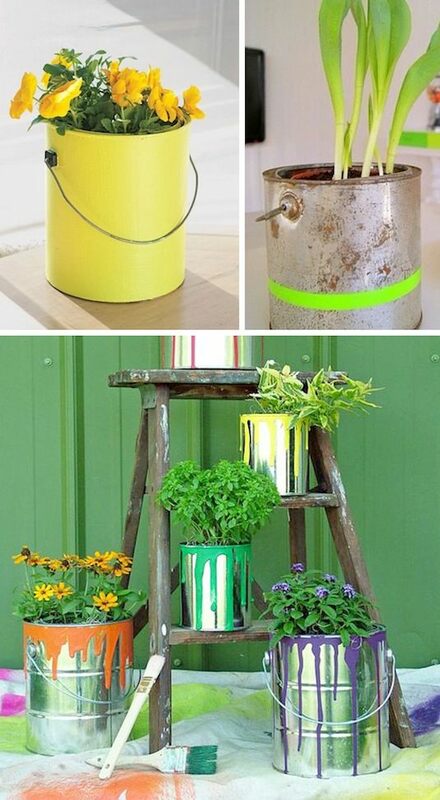 Drill a few holes in the bottom for proper drainage, and you’ve got a charming little container! This works well for plants with small root systems, like succulents or herbs. 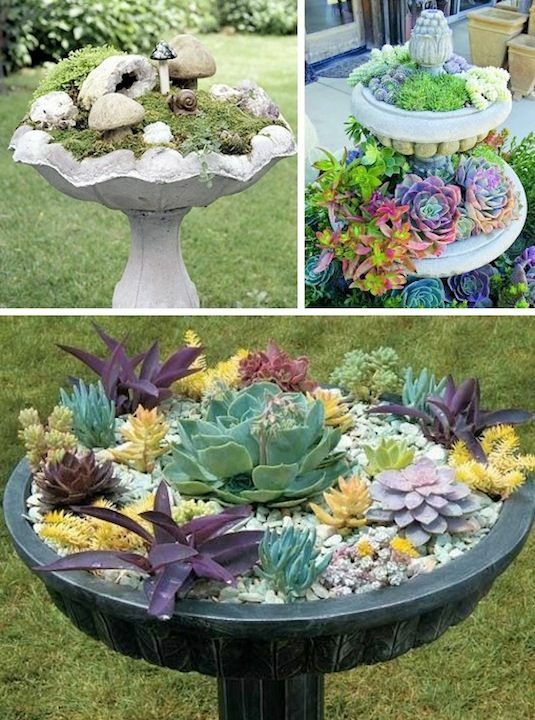 Water fountains make for enchanting petite gardens. 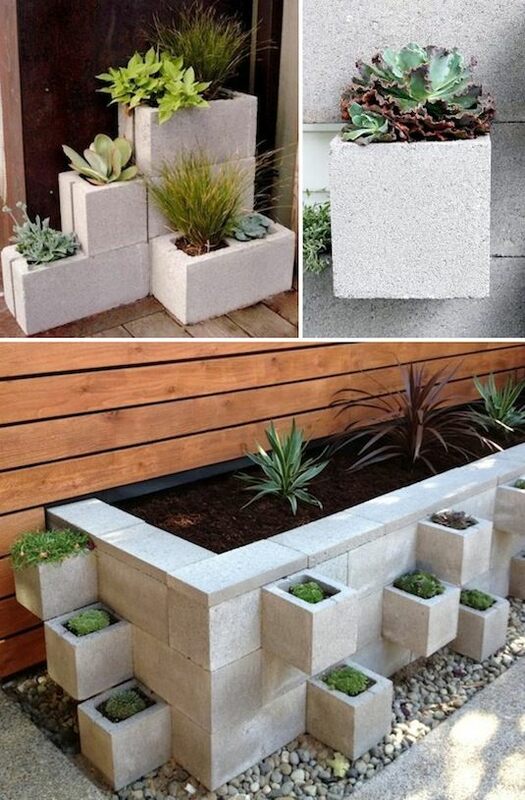 How fun would it be to make a little garden with rocks, moss, small plants, and mini garden accessories?! How Clever! 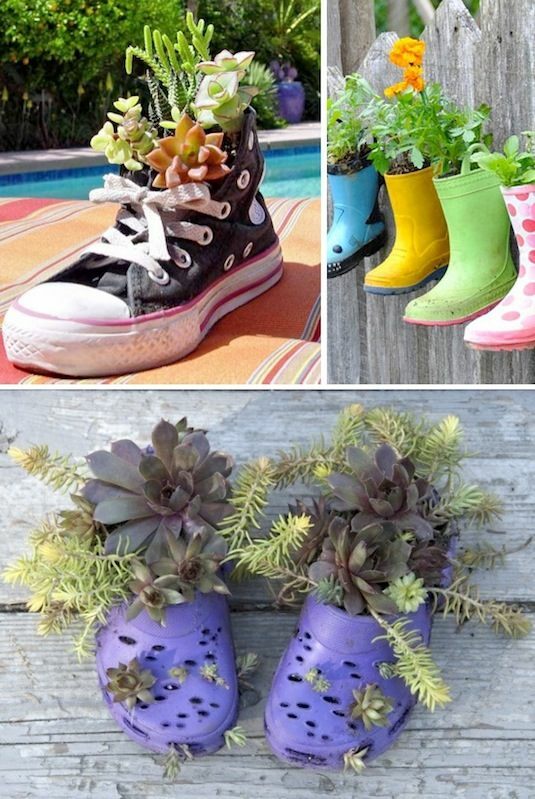 I suppose you could use just about anything as a planter. The sweet Alyssum on the first picture creates the illusion of soap suds around the carefully placed plates. 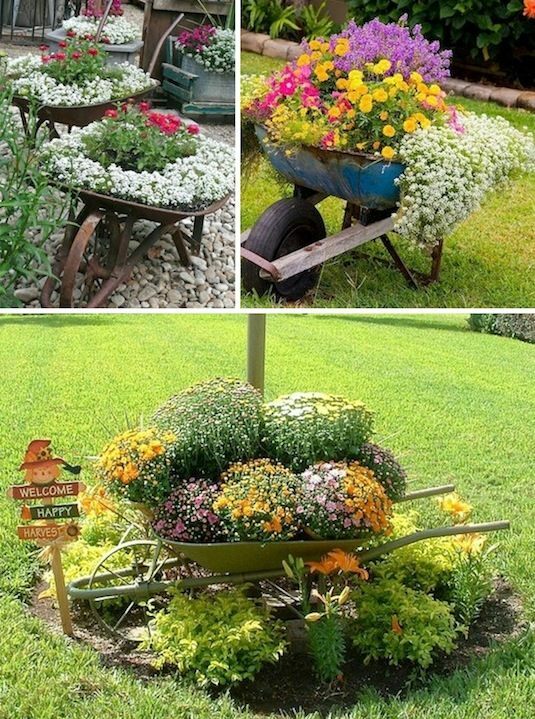 A wheel barrow planter is easy to move, making it convenient for watering, or moving out of bad weather or frigid temperatures. A dump truck! 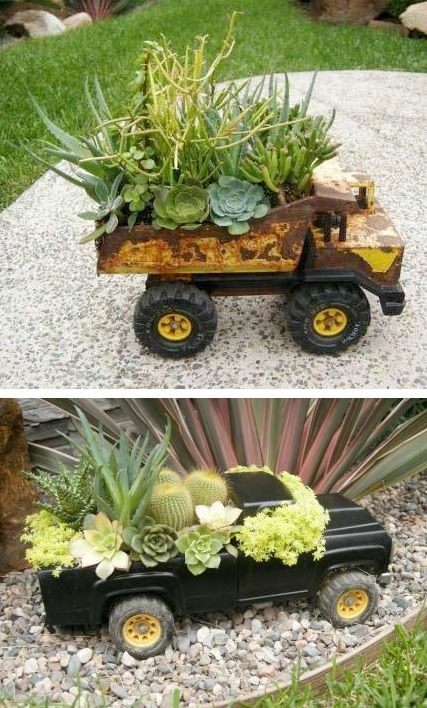 This has got to be a bachelor’s ideal garden container. I think it’s quite whimsical and fun, myself! 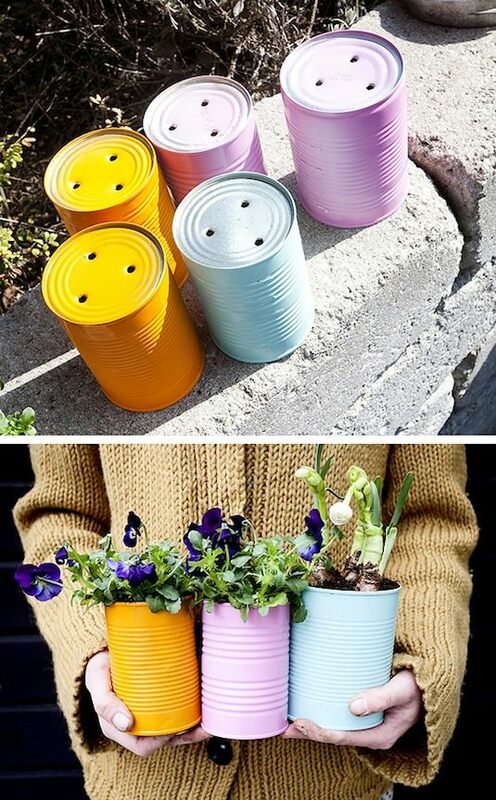 I can’t help but think of everything as a container for plants now. Who wants a boring old pot when you can have something unique like this!? 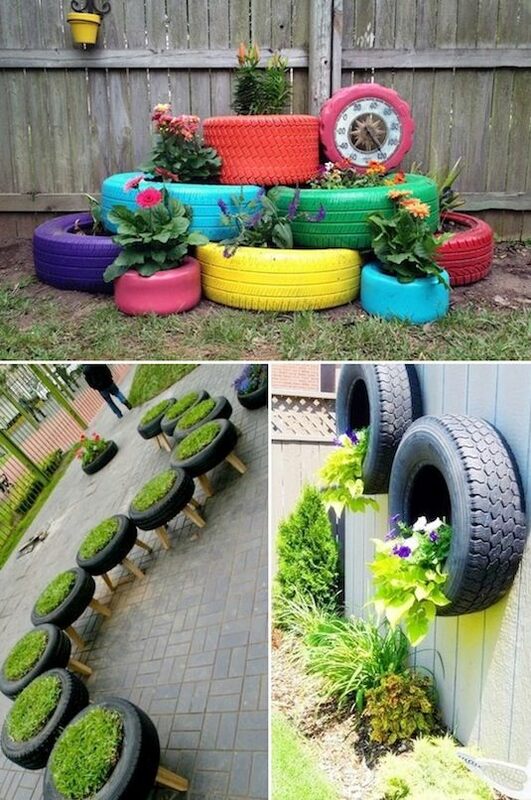 The only thing I would suggest is to drill a few holes in the bottom for proper drainage. 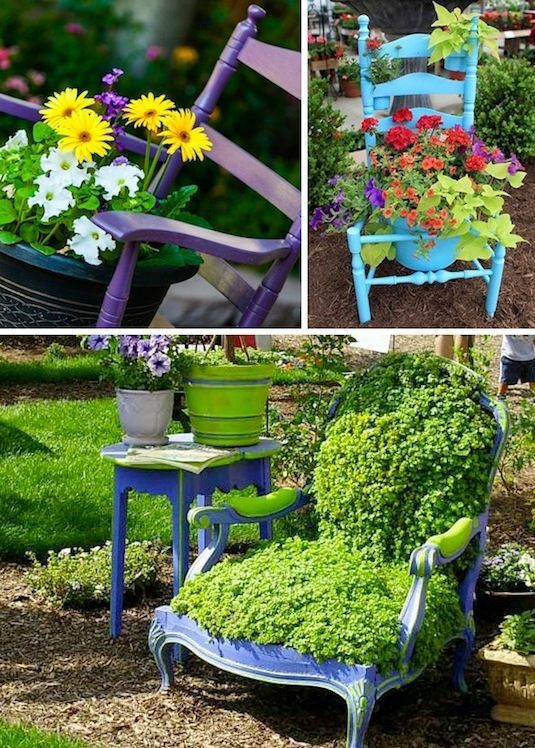 Simply remove the seat so your pot can rest in the frame! 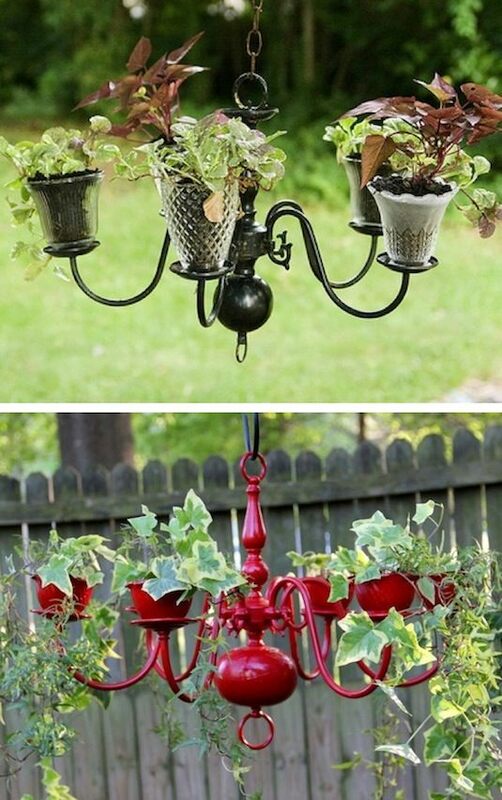 Pretty sweet way to decorate your home! Any book lover can appreciate this. And, you can find beautiful vintage books at thrift stores and antique malls for just pennies. This is a cheap and easy way to create a one-of-a-kind centerpiece! You would never guess it was made out of a milk carton. 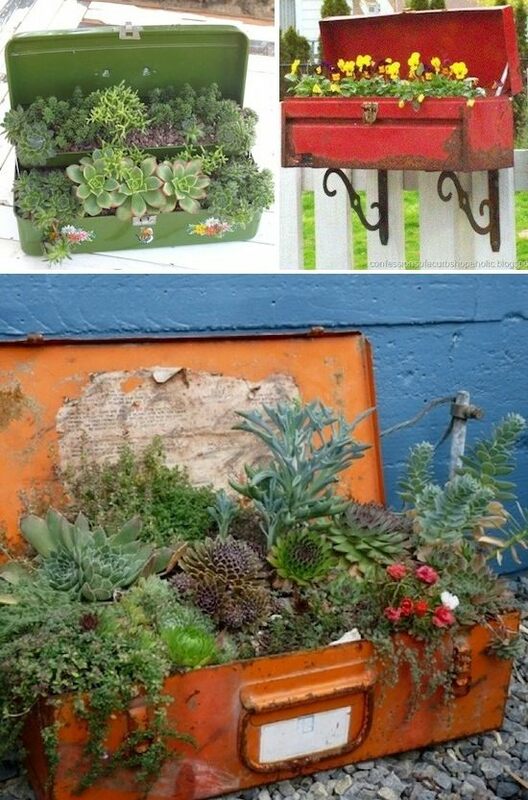 Tool boxes have that upper and lower level, making them ideal for showcasing a mini garden. 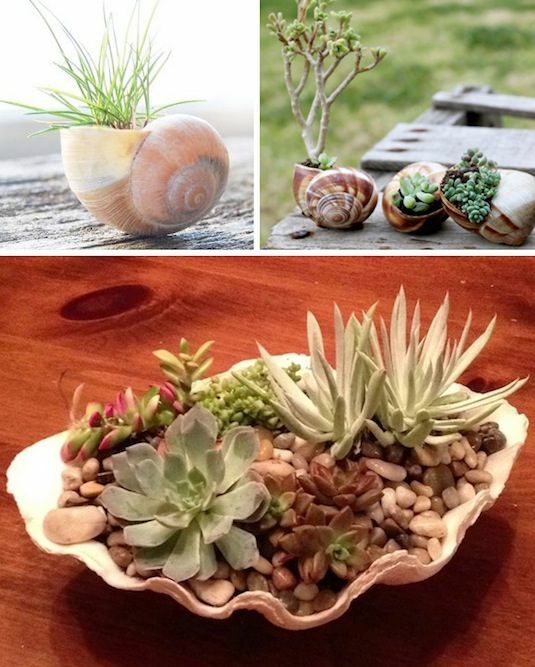 Put all of those collected shells to use! 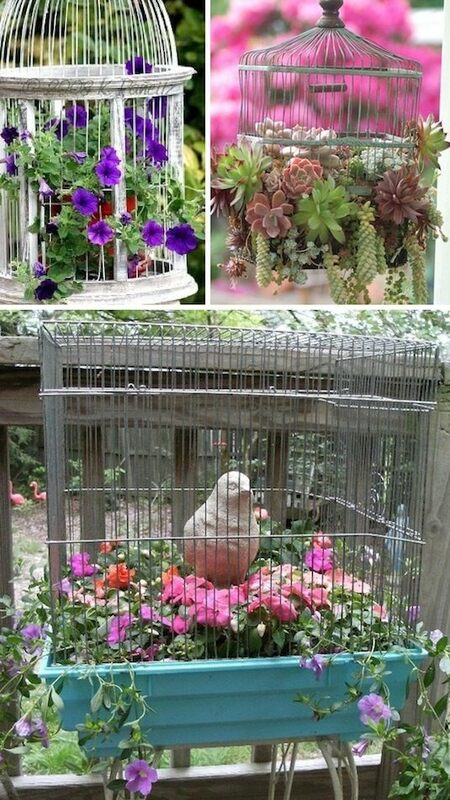 Place them in your garden or use them as a table centerpiece. 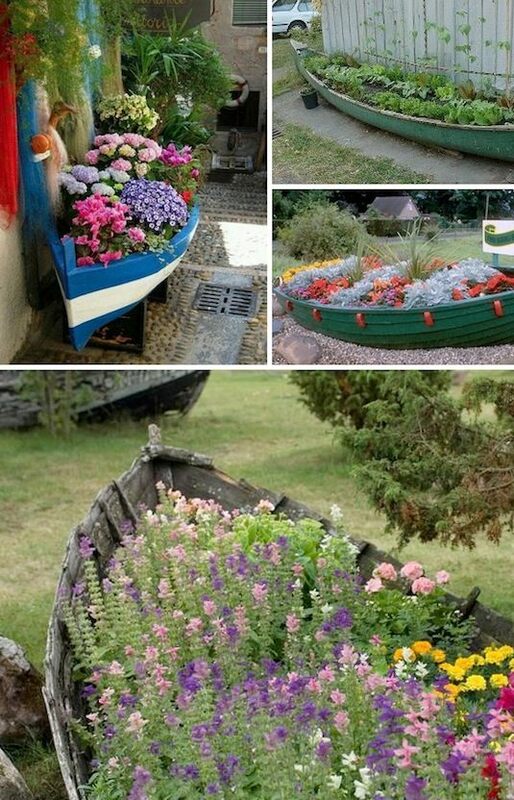 Talk about a boatload of flowers! 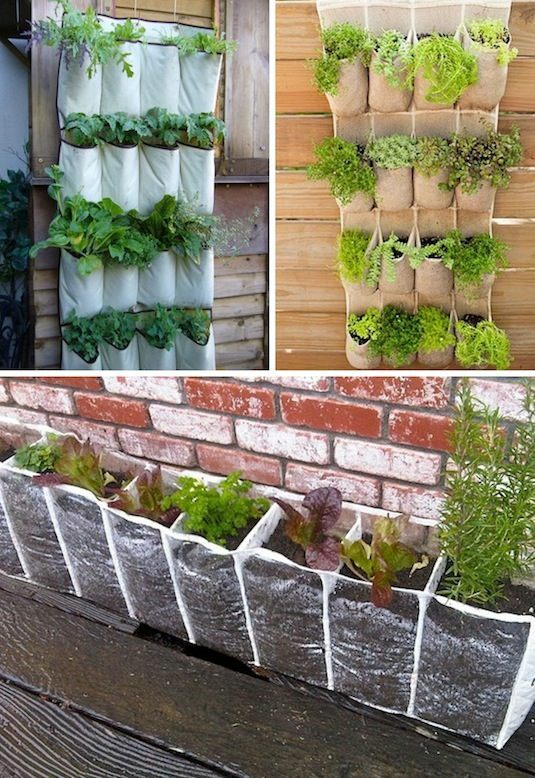 You could plant an entire garden in there. 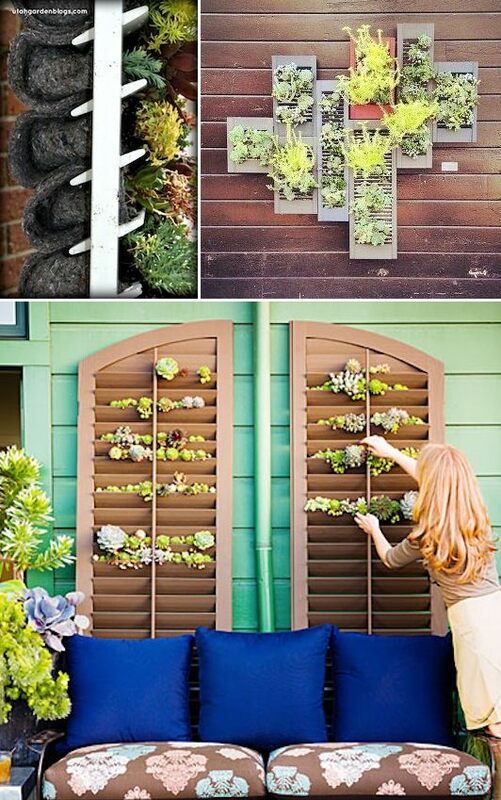 This is great way to cover up ugly wall space or even add a little privacy to your yard.